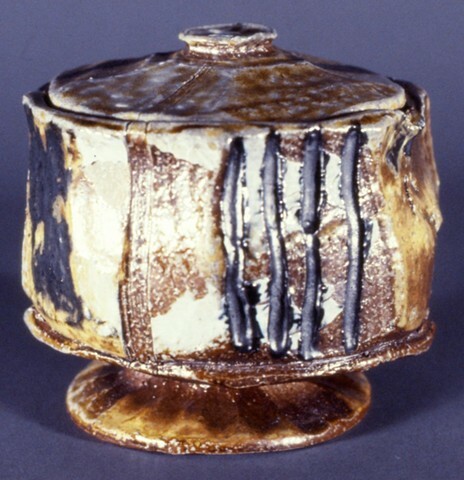 Stoneware wheel thrown and altered Jar. Wood and Soda fired with black and white slip decoration. Fired to Cone 10 Reduction.